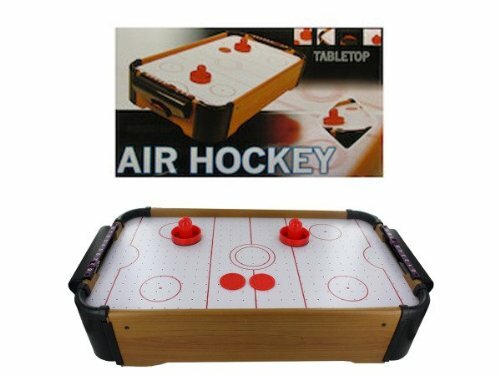 Great for parties and anytime fun, this Air Hockey Tabletop Game features a fully-functional, fan-powered game in a compact size that easily fits on tables. 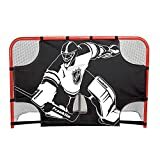 Set includes air hockey table, 2 pucks and 2 paddles. Measures approximately 22" x 12" x 4". Requires 8 'AA' batteries (not included). Assembly required with Phillips head screwdriver (not included). Comes packaged in an individual box.